Last year I used Fuel Injector Clinic’s 1100cc injectors as well as top feed fuel rail system being that my car is a 2006 STI it came side feed. Overall my great experience with FIC led me to choose them again for the new engine setup. 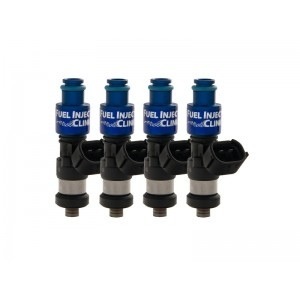 Fuel Injector Clinic’s 2150cc/min injector is the biggest they sell, yet it is still very stable at the short pulse widths required at idle and part throttle. The fact that this huge injector has a high impedance coil means that it can be driven by a stock ECU without a problem. 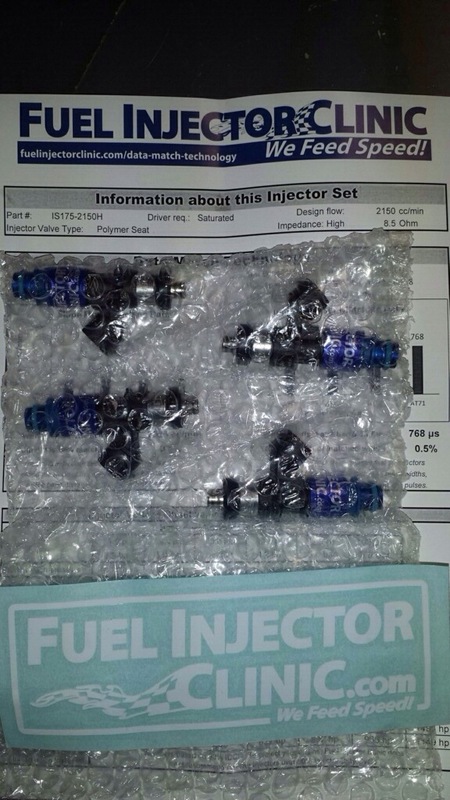 When matched using Fuel Injector Clinic’s state of the art Data Match Technology, these injectors will provide the precise fuel control needed for my Time Attack STi. 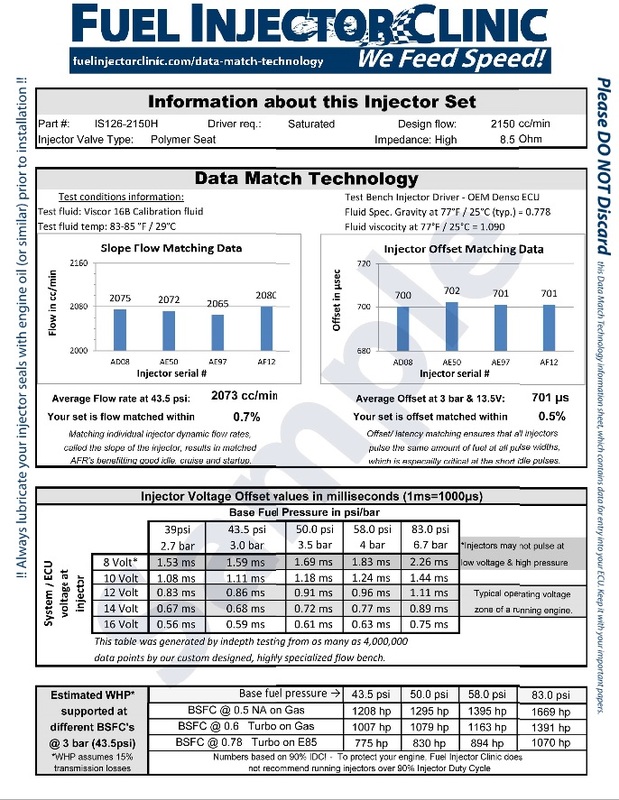 I have attached a sample copy of their flow sheet, which has the most detailed slope flow and offset data provided by any aftermarket injector company. 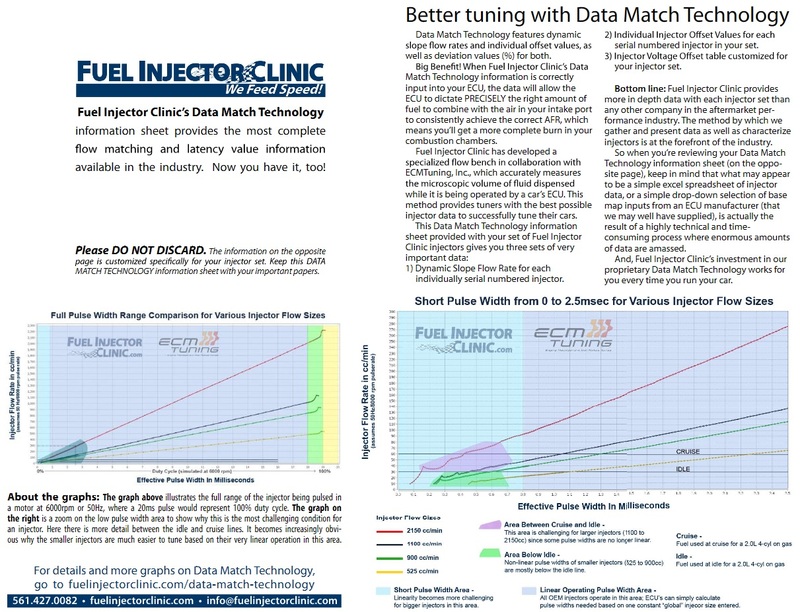 Each injector is individually serial numbered and the results are providedon the Data Match Sheet providing the most complete flow matching and latency value information available in the industry today. Fuel Injector Clinic injectors are set up to and include all o-rings needed to fit the factory application for the listed vehicle. For aftermarket or other unusual setups please contact us prior to placing your order to make sure you receive injectors that fit properly. Every injector is covered against failure caused by defects in original manufacture by our 12 month warranty. This entry was posted in Product Reviews and tagged 2150cc, build, clinic, fic, fuel, injector, motor, racing, sti, subaru, yimi, yimisport. Bookmark the permalink.